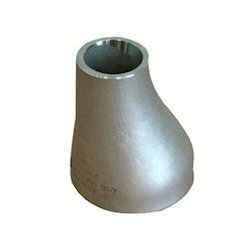 Offering you a complete choice of products which include pipe reducer. We are highly appreciated in the market for our exquisite assortment of Pipe Reducers and Industrial Reducer. The offered products are sourced from trusted vendors of the market, who follow international quality standards in the manufacturing. Our reducers find wide applications in industries like petroleum, natural gas, chemical, electricity, shipbuilding, heating, and metallurgical. Moreover, to meet the diverse needs of valuable clients, we offer these reducers in different sizes, grades and specifications at market-leading rates. ASTM A 815 UNS NO S 31803 , S 32205, S 32760, S 32750.